sometimes stop at an old cemetery just outside Plattsburgh. Right inside the entrance is a series of arrows pointing to a specific grave. That grave has a compelling brass marker which proclaims the man buried there was "President of the United States for one day ~ Mar. 4, 1849." After stopping at the cemetery I sometimes roll my big red Harley trike into Plattsburgh where the townsfolk have erected a towering statue to the man, also proclaiming his presidency. On occasion, I've even gone on up the road, across the Missouri river and visited "The World's Smallest Presidential Library," which was built in his honor. 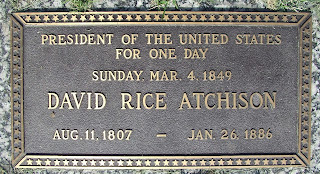 The library is located in Atchison, Kansas, which was named after the man, David Rice Atchison. 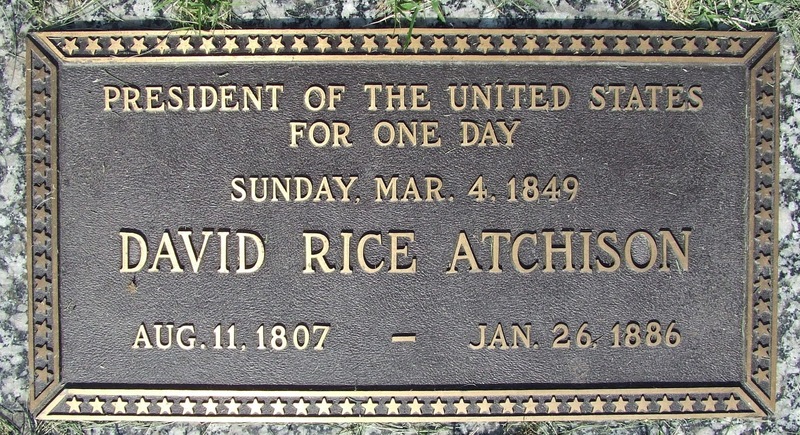 Senator David Rice Atchison, a member of Platte Lodge #56 in Missouri, was President pro tempore of the United States Senate when Zachary Taylor was elected president. Inauguration day in 1849 fell on a Sunday and the devout Taylor refused to attend his swearing in on the sabbath, rescheduling it for the following day. 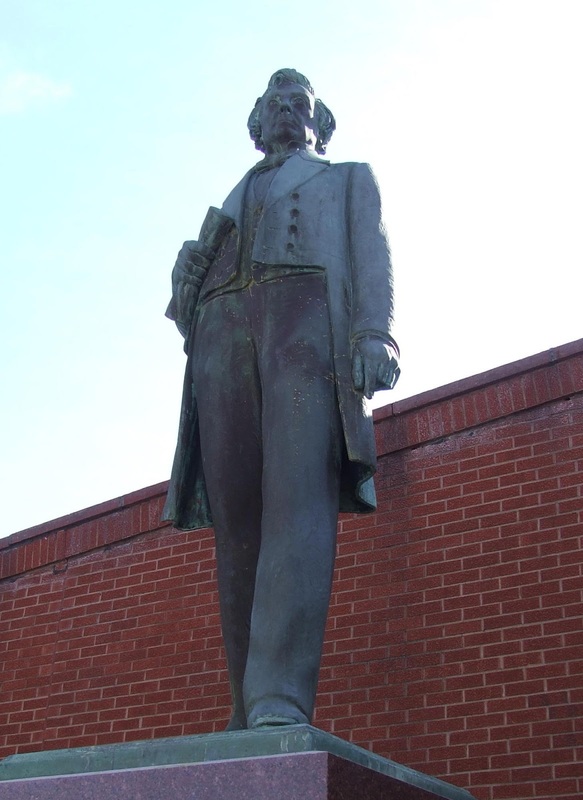 Taylor's Vice President, Millard Fillmore, followed suit and James K. Polk's term had expired the previous day, technically leaving the presidency vacant. Constitutionally, Atchison was next in line for the office. "It was in this way; Polk went out of office on the third of March 1849, on Saturday at twelve noon. The next day, the fourth, occurring on Sunday, General Taylor was not inaugurated. He was not inaugurated until Monday the fifth, at twelve noon. It was then canvassed among senators whether there was an interregnum (which means a time during which a country lacks a government). It was plain that there was either an interregnum or I was the President of the United States, being chairman of the Senate, having succeeded Judge Magnum of North Carolina. The judge waked me up at three o'clock in the morning and said jocularly that I was President of the United States and he wanted me to appoint him as Secretary of State. I made no pretense to the office, but if I was entitled in it I had one boast to make, that not a woman or child shed a tear on account of my removing anyone from office during my incumbency of the place." Historians almost universally agree that Atchison was not officially the president. It is also true, however, that neither the outgoing president James K. Polk, nor Taylor were president on March 4. Duly inaugurated, who better than Brother Atchison to fill the gap? If you're not willing to agree that he was at least ex-officio President, just don't mention it around Atchison, Kansas or Plattsburgh, Missouri. Very nice! I'm originally from Atchison and did not realize the the good Senator was a Masonic brother as well! 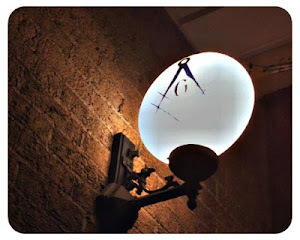 Men Who Shouldn't Become Masons . . .